While creating this web site I had two outstanding bits of advice. One was from the late Revd. Professor Colin Gunton, Associate Minister to Brentwood URC and an outstanding world class theologian, Gardener, family man, lecturer, mentor and friend. He said that many church web sites talked not enough about God, and religion. This web site is dedicated to him, and I hope there is enough about God and religion. 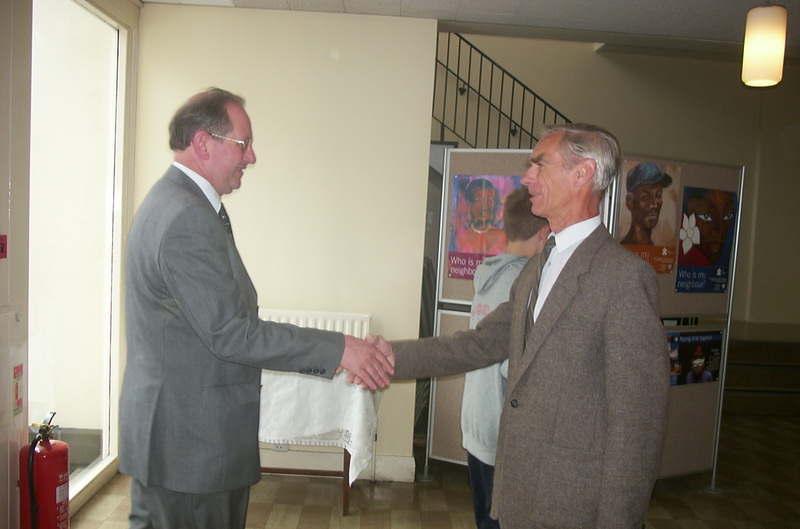 The second bit of sage advice was from Kees Maxey, friend and social activist. He said that what made a church was not the building but the people. This page of the web site is for him. As a United Reformed Church the Minister arrives and moves on over a relatively short period - perhaps five or six years. So many Ministers contribute in their own way to the development of the Church. In Brentwood we were very fortunate. Not only did we have some very good Ministers but we had an Associate Minister - The Revd. Professor Colin Gunton, who sadly died in 2003. There is not enough space on this page to describe the achievements of Colin, it would take a web site all of its own. But to us he was just Colin. The Associate Minister who stepped in during periods of interregnum, Who ably chaired the Church Meeting, who was the rock on which the theology of our little church was founded and a friend and mentor to all who knew him. If, as Kees said, the Church is made up of people rather than buildings I would rather like to think of Colin as a foundation stone, one of several, but without which the Church would be much less strong. Colin was one of the country's leading theologians - arguably one of the most influential theological thinkers of the last twenty years. He made our pulpit one of the best known in the country! His legacy lives on in the many Ministers, writers and fellow theologians who followed him and, as we do at Brentwood URC, value his great works. Maxey for a period of Ministry. She later became Secretary for Ecumenical Relations for the URC and was Moderator of the entire URC. Sheila has lived in Brentwood for many years and despite her obligations and commitments to the URC nationally has always supported Brentwood URC. The former Moderator of the General Assembly, The Revd. 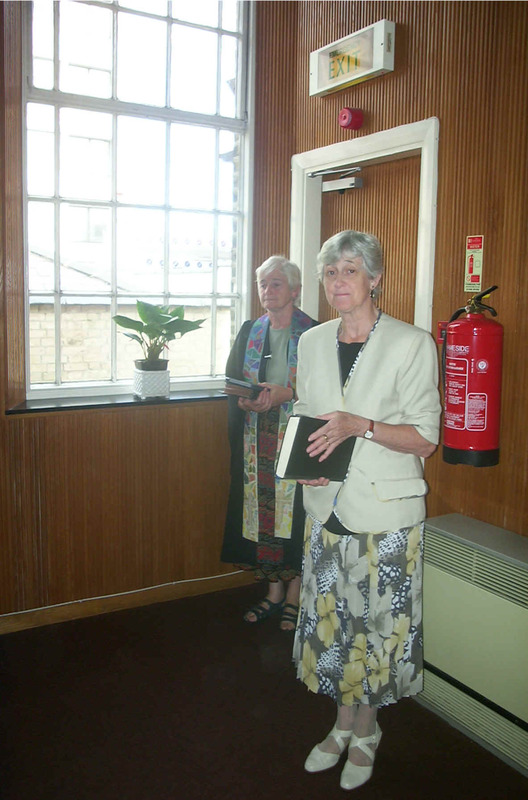 Sheila Maxey (background) and Rosalie Brentnall, Elder, at the start of morning worship. We give thanks and praise for the life of our Brother in Christ, Charles Wrede Steynor who died on the 7th June 2015. Charles wa another corner stone of our church for more than fifty years. A true friend and Christian Gentleman, in every sense of the word. 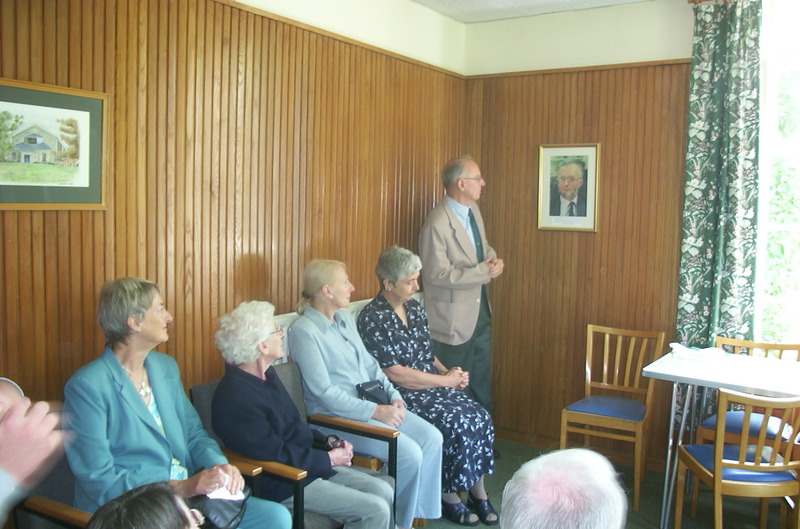 Pat Benham, Gillian Tytherleigh, Margret Gazely, Elaine Austin, Tony and Margret Cheer, Sue Stevenson,. Rosalie Brentnal, Hilary Lloyd,. Steve Burns, Stanley Francis, Mary Tate, Bill Crisp, Tina Farmer, Valerie Robinson, Gabrielle Crowther, Jean and Moses Tsingano, Jin and Saly Bealey Jenny Mayo, Jim Statford, , Clive and Caroline Rudkin, Rev S Maxey, Kees Maxey; and many more who give off their time. Let us give thanks to God who through his Son Jesus Christ and with the guidance of the Holy Ghost has allowed our church to be blessed with so may of the unsung heroes of God's army on earth - praise the Lord, praise the Lord indeed. Amen.